Pre-heat the oven to 180C. Line a 20x20cm baking tray with baking paper. In a small saucepan on a low heat melt the honey and add the olive oil once melted. 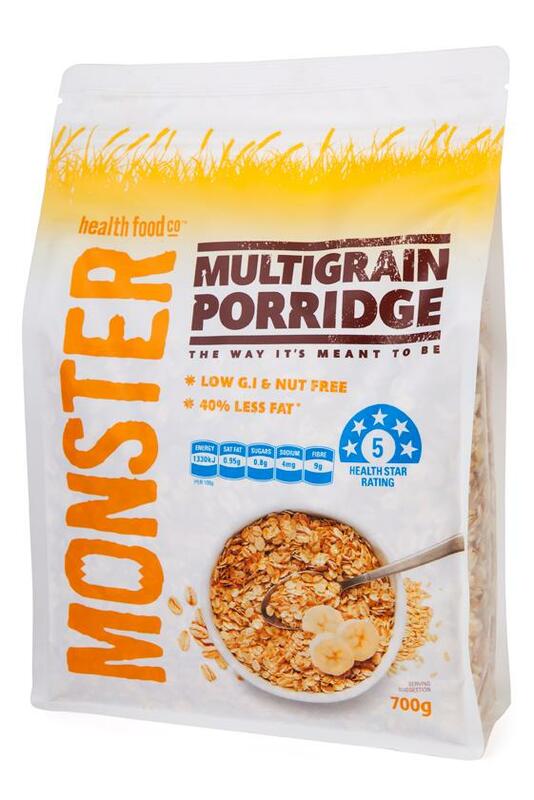 Remove the pan from the heat, stir in Monster Multigrain Porridge, coconut, nutmeg, baking powder and banana. Thoroughly combine and them pour the mixture into the baking tray and spread evenly. Place in the oven for 20 minutes or till gold brown.